Christmas is a hard time to be away from home. Family and friends are always important to us but at this time of the year we feel the separation even more. We are blessed to have been able to spend this festive season with our good friends Bernd & Heidi who we met in Iran in 2003. 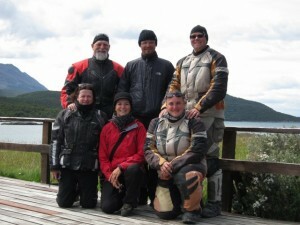 We met up with them in Ushuaia when we got back from Antarctica. We saw their bikes outside the tourist office. There were lots of shrieks, hugs and tears when we walked in. Even total strangers were swept up in our happiness. 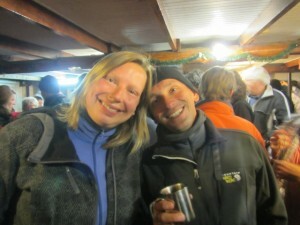 Bernd & Heidi are special people. 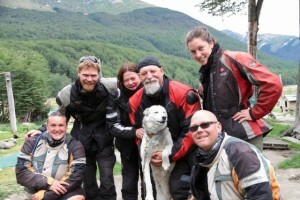 And through them we met other travellers – Christian and Nicole in a Land Rover, Kati and Jens on BMW 800s and Marjorie and Jorge in a Toyota and Australians Hannah and Owain on a Kawasaki 650. 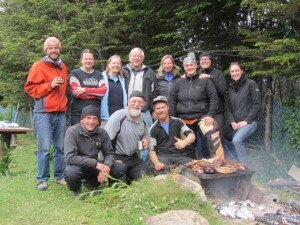 Together we shared a special Christmas in the local campground. A Christmas Eve BBQ under a very unique Christmas tree with beer cans and topped with a star made by Brian using a coat hanger was a brilliant night. On Christmas Day we joined Bernd, Heidi, Christian and Nicole for a trip into the National Park. 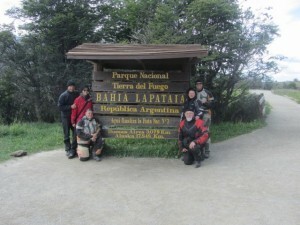 Here the National Ruta 3 comes to an end – literally the end of the road at the end of the world. We took the obligatory photos. Snoozing in the sun - Heidi was first to snore but Brian was the loundest! Then it was time for a picnic on the banks of the river. Around us families played soccer. We talked about Christmas at home and the cricket games in the backyard. We explained that like Vegemite, cricket is one of those things that if you don’t grow up with it you will never get it! After lunch we had a snooze in the sun…a Christmas tradition all over the world. We spent the next few days catching up. 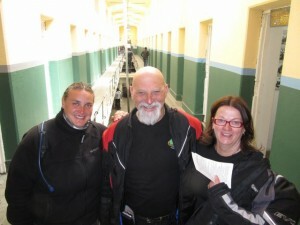 It has been five years since we last saw Bernd & Heidi when we visited their home in Kallmerode, Germany. Kati and Heidi made traditional potato salad and my favourite tomato and onion (Heidi used to make it for us in Australia). 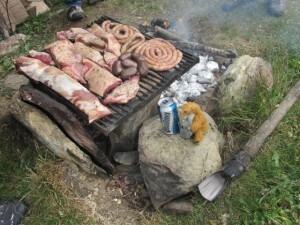 Owain cooked up beef, pork, chorizo and blood sausages over hot coals. It was a feast fit for a king! 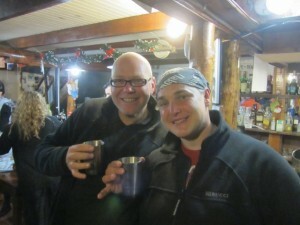 It was a great night with many other travellers joining us around the fire before we saw the New Year in with some warm wine courtesy of the campground owners. Our time with old friends and new was coming to an end. On January 2 it was time to say good-bye. 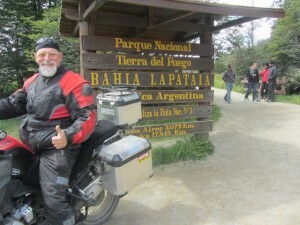 We are heading to Buenos Aires and Bernd & Heidi and Kati & Jens are heading into Chile. Nicole and Christian are already there. 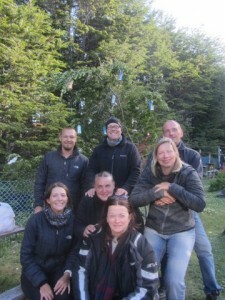 Owain & Hannah are heading north and then home to Australia. Tears flowed as we said goodbye. We will all meet again – somewhere, sometime on the road. Great adventure, now I know what santa looks like without his hat, great beard Brian. Have fun stay safe. A bit late but none the less, happy new year to you and Shirly. Safe trails mate. Look forward to the next book. Had a photo taken at that sign at the end of the road in November. Thought how I would love to drive all the way to Alaska. Shall enjoy your adventures. Be careful in that terrible traffic in Buenos Aires.